SOCOM Wants You for Online Witnessing! Did you know that the ministry potential of the Internet is truly staggering? The prospective online beneficiaries of Christian ministry number in the millions and are steadily increasing each day. We need help in our Online Evangelism efforts here at SOCOM and you are welcome to join us in taking the Good News of Jesus Christ to the world via the Internet. Below are just a few examples with how you can be a witness for Christ. If you have any ideas you would like to see posted here we would love to hear them! someone is asking a question on Yahoo! Answers that is being posted for the world to see. someone is asking a question about God, religion, faith, Jesus Christ, etc. Out of those questions, many are sincere and are truly searching for the truth of the Gospel. non-believers are answering those questions and leading people away from Christ in droves. What Are We As Christians Willing To Do About It? The work of God is not done by great people but by ordinary people who are committed to Him. We may say to God, "I am nothing. I have no gifts. I often fail miserably. Do You really want to use me?" The answer to that question is found in God's Word. He used the hesitant, inarticulate Moses to lead Israel to freedom (Ex. 3:13; 4:10). He used men of the herds and flocks, as well as fishermen and farmers to accomplish His work and record His words. A simple carpenter and a peasant girl raised His Son. That's still the way God works. Although we have "mega-methods," mass media, and superchurches, it is ordinary people who do God's extraordinary work. A grandmother prays faithfully for her 14 grandchildren and talks to each one about trusting Christ. A clerical worker witnesses to everyone in his office. A Christian takes a meal to her unbelieving neighbors when their baby is hospitalized and assures them of her prayers. When we ask, "Does God really want to use me?" the answer is clear. God chooses "the weak things of the world to put to shame the things which are mighty" (1 Cor. 1:27). God has been using ordinary people like you and me for thousands of years. Why would He stop now? I have been a member of the online file sharing community for several years now. It started way back in the day when peer 2 peer programs were out there like Napster, Morpheus, Bear Share, & Lime Wire were all reigning kings. 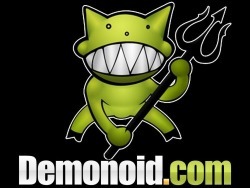 Then in 2006 I discovered torrents and sites like MiniNova and Demonoid. For those of you that are unfamiliar with torrents, they are basically file sharing sites that you can use to connect to other people around the world. People share everything on these sites from movies to the latest CDs and books. It’s fairly easy to learn how to download from these sites but it’s a bit more effort to learn how to upload your own files for others. I’ve never been known for my skills in patience building and would try unsuccessfully every so often to upload my own files. I always imagined how cool it would be if I could upload the collection of Christian material I’ve gathered over the years to make accessible to others that were searching for likeminded files. I have collected several gigabytes of audio and video sermons from well grounded Biblical teachers I wanted to share with the online community, but could never seem to get it to upload properly. Finally in March I got it working right and have been steadily uploading files ever since. What I found interesting was the shear amount of backlash I’ve received since I began doing this. I have received numerous comments from the Demonoid community to stop uploading “trash” and that nobody wants my files. What keeps me going is the fact that the numbers don’t lie. Since I have started this “Christian Crusade” on Demonoid, there have been people downloading these files every day! I uploaded a copy of the ESV Bible in PDF format and it has been downloaded more than 300 times in a span of 30 days! That means over 300 people across the Internet now have a copy of the Gospel. This is not a witnessing technique for everyone; this is just something I found that works for me. I have received several positive comments from people as well telling me to keep doing what I’m doing and thanking me for posting these files. I owe it all to our Lord who is using us to reach people any way we can. Time is short and we all need to be doing what we can to continue the spread the Gospel any way we can.